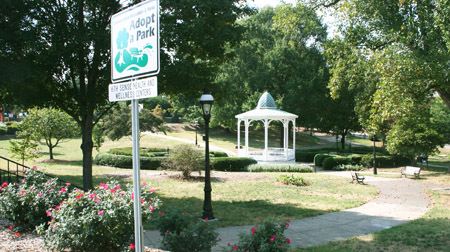 In Forsyth County, most public open space is in the form of park land and rights-of-way. Parks in Forsyth County provide 5,817 acres of land, much of this can be considered as open space. Greenway corridors add another 140 acres of preserved open space. Much of the land associated with greenways is through the donation of easements from private property as it comes in for development approval, though some greenway land has been purchased. There is also a fairly significant acreage in open space and landscaped areas located along the rights-of-way of major thoroughfares in the county. At present, the Vegetation Management Division of the City of Winston-Salem maintains approximately 450 acres of landscaped open area along major thoroughfares. I am curious as to how Forsyth County compares to other areas in which people find attractive places to live. We are in danger of allowing so much of our land to be developed that open space will no longer be an option.